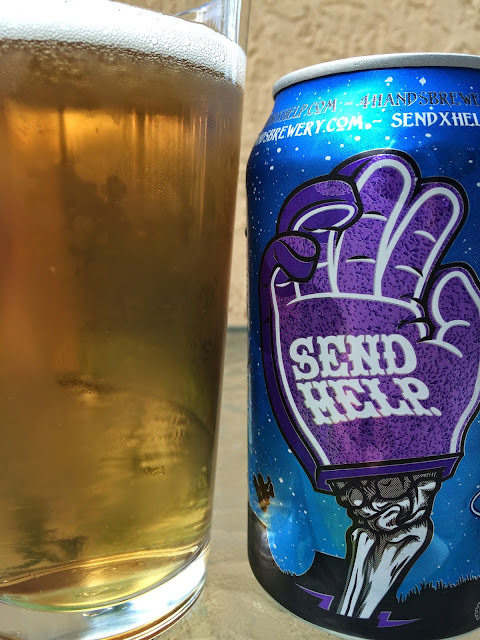 Today I'm checking out Send Help, an American Blonde Ale brewed by 4 Hands Brewing in St. Louis, Missouri. The beer and can art were done in collaboration with Send Help Skateboards, and the can features the "Foam & Bones" design from one of the skateboards. You can also see a half pipe and a skater in the air doing a trick above it. This is a beer brewed with Pacific Northwest Hops. 4.5% alcohol. Very fruity and hoppy aroma. 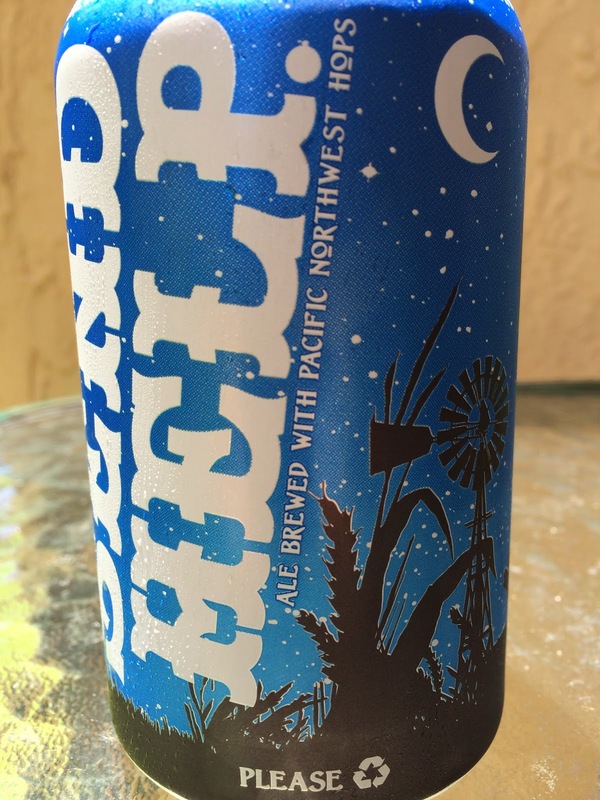 The flavors are less fruity and show off much more zesty citrus and hoppy floral character. Lemony, grainy. Bitterness builds as you drink on. A bit one-dimensional. Nevertheless, Send Help has nice flavor and is an extremely refreshing beer!